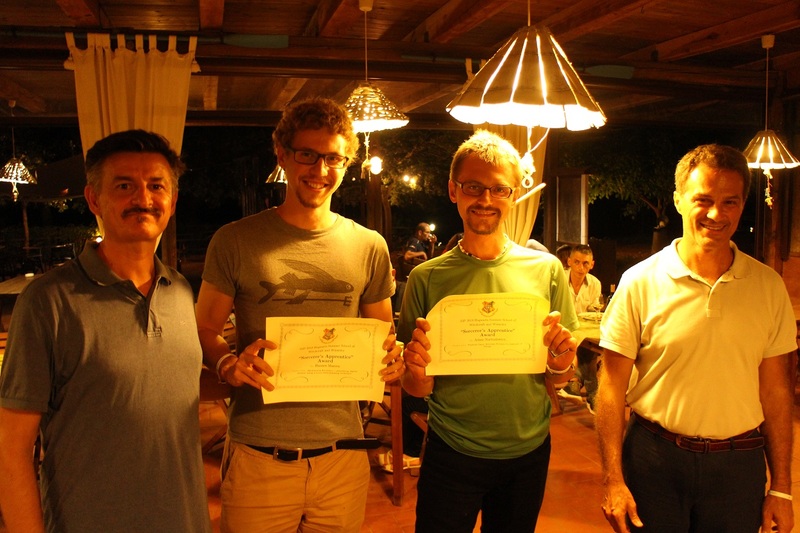 (L to r): Prof. Alessandro Piva (University of Florence); Hannes Mareen (Ghent University); Dr Adam Narbudowicz (DIT); Prof. Mauro Barn (University of Siena). CONNECT Research Fellow Dr Adam Narbudowicz at Dublin Institute of Technology has won best poster award at the 2018 IEEE-EURASIP Summer School on Signal Processing at San Vincenzo in Italy. 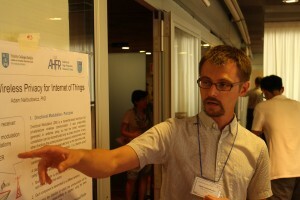 Adam is an EDGE Fellow working in the research teams of Nicola Marchetti in TCD and Max Ammann in DIT. Dr Adam Narbudowicz discussing his poster in San Vincenzo.